The Blue1 Naked for cars is specially engineered for above ground AdBlue storage. With this installation we can offer a complete range of volumes from 1000L up to 10000L. This solution, which offers an optimal combination between price and quality, is engineered and built according to the highest quality standards, to make sure that your AdBlue keeps its 100% purity. Compartment 2 is the technical compartment standard equiped with a side fill. 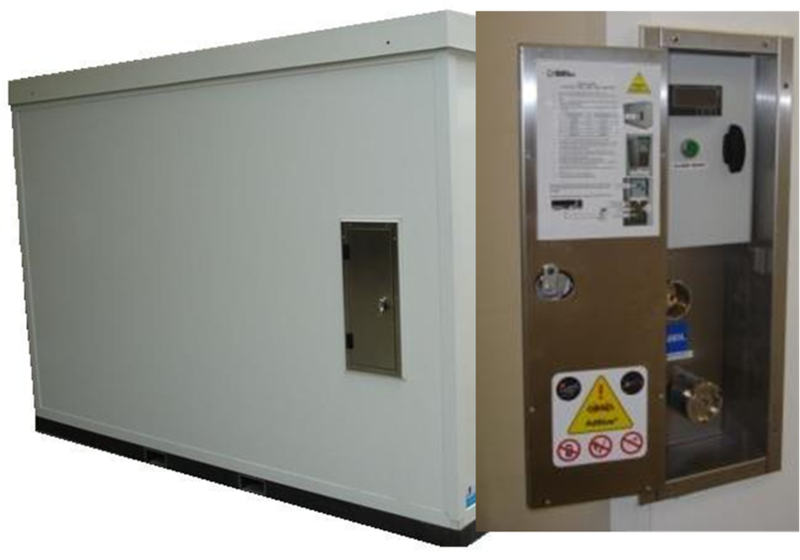 The unit can be filled up through a side fill panel as a standard. The Dry Disconnect Coupling makes sure that all deliveries will occur without leakage and on the other hand the overfill prevention will make sure that an overfill off the unit is impossible. dispensers. The installation can also be fitted with a connection kit for dispenser to mount a dispenser directly at the side of the installation, in this case the side fill is a mandatory option.